Who's Afraid of the Big Bad Root Canal? Cascadia Dental Specialists Blog Who's Afraid of the Big Bad Root Canal? Root canal treatment has gotten an undeserved bad reputation in mass public opinion. Though no more painful than getting a filling done for a cavity, many people fear getting a root canal because they've heard that they are painful. In reality, the most painful part of a root canal is the pain you are experiencing before the procedure is performed. 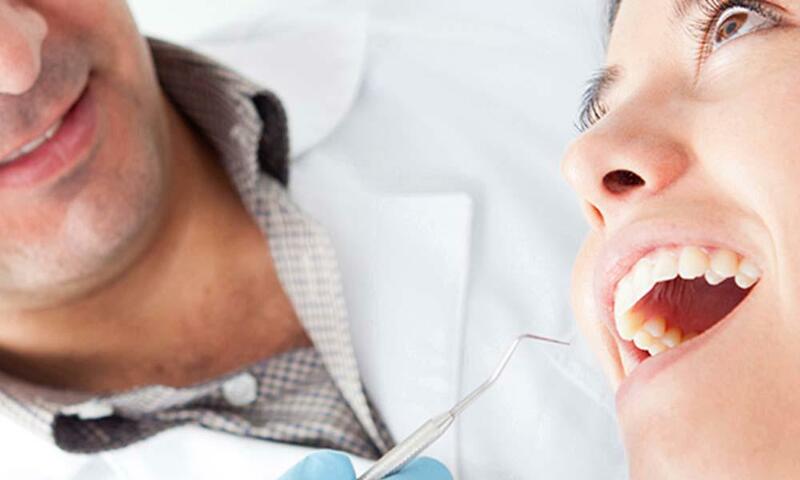 More than 14 million teeth receive endodontic treatment, or root canal treatment, each year. "Endo" is the Greek word for "inside" and "odont" is the Greek word for "tooth". Therefore, endodontic treatment is the treatment of the inside of your tooth! Before we go into detail about root canal treatment, you should understand a little more about the anatomy of a tooth. The crown of your tooth (the part you can see) is made of an outer layer of enamel and an underlying layer of dentin. Under both of those layers is the inner chamber of the tooth called the pulp chamber. The pulp chamber contains blood vessels, nerves and connective tissue. The pulp extends from the crown of the tooth to the tip of the roots where it connects to the tissues surrounding the root. Though the pulp is important during development of the tooth, it's only purpose in a fully mature tooth is for sensory perception. It's the reason you can feel hot and cold through the tooth, the presence or absence of the nerves is not vital for the function of the tooth. Meaning, with or without the nerves in a fully mature tooth, you will be able to chew your food just fine! Now that you know a little more about anatomy of a tooth, we will go over why you might need a root canal. Endodontic treatment is needed when the pulp becomes inflamed or infected. When a tooth's nerve tissue or pulp is damaged, it breaks down and bacteria begin to multiply within the pulp chamber. The bacteria and other decayed debris can cause an infection or abscessed tooth. Your body cannot do anything about this infection, because if the nerve is dying, the blood supply to the tooth dies off too so your body cannot send any help to fight off the infection. Untreated pulp inflammation or infection can lead to pain or an abscess. An abscess is a pus-filled pocket that forms at the end of the roots of the tooth that occurs when the infection spreads all the way past the ends of the roots of the tooth. This can be caused for a variety of reasons: deep decay, a crack or chip in the tooth, or a blow to the tooth. Symptoms of inflammation or infection can include tooth pain on pressure or biting, prolonged sensitivity to hot or cold, discoloration of the tooth, swelling and tenderness in the nearby gums, or recurring pimple on the gums. You may also experience swelling that may spread to other areas of your face, neck or head. Untreated, the abscess can also lead to bone loss and eventual loss of the tooth. How does a root canal treatment help? Well, the endodontist removes the pulp along with bacteria and decayed nerve tissue, carefully cleans and shapes the inside of the tooth, then fills and seals the space. Afterwards, your general dentist will place a crown or other restoration on the tooth to protect and restore it back to full function. You may be asking yourself what if you don't get the root canal? What's the worst that could happen? Well, I'll tell you. The bacteria will continue to break the tooth down causing it to weaken even further to the point where you will lose the tooth. Likely you will also have bone loss associated with this, making the process of replacing your now missing tooth even more difficult. Another possibility, much more serious, is the systemic spread of the infection that could be life threatening. We've discussed before how your oral health is directly related to your heart, brain, lung, and other major organ health. Through your gums there is a direct blood pathway to all your major organs throughout your body, by not treating the bacteria you are giving them free access to your body's transportation highway and direct routes to your heart, brain, lungs, kidneys, and liver. Now, if that's not scarier than getting a root canal, I don't know what is! As we've stated earlier, root canals don't need to be scary or painful. A root canal is essentially a very deep and thorough filling. You will be numbed just the same as you would for a filling and should feel nothing just as you would for a filling. The process of cleaning and filling the tooth will take a little longer, probably around an hour to two hours, but should be pretty easy on your part. All you have to do is sit back, open wide, and relax! After the root canal treatment is completed you will need to see your general dentist for some type of restoration. The unrestored tooth is susceptible to fracture and reinfection of bacteria. After going through the root canal once to save your tooth, you don't want to have to undergo another treatment or lose the tooth completely, so make sure you get the tooth restored! Once the new restoration is put on all you need to do is make sure you brush, floss and go for your regular cleanings. Most root canal treated teeth last as long as all your other natural teeth, but in a few cases the root canal can fail to heal or it can become diseased again months or even years after the initial successful treatment. If that happens there are other options to save the tooth, retreatment, root amputation, or apicoectomy... but we'll discuss those on another day, I think you've had enough for now! Now that you know what a root canal is and the benefits it provides, don't hesitate or worry about going in for treatment. Getting a root canal is as easy as pie (for the patient at least! ).